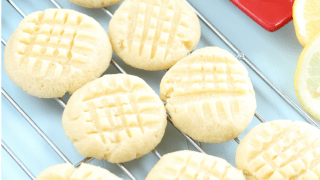 Take the traditional shortbread cookies and make them keto friendly? You bet! 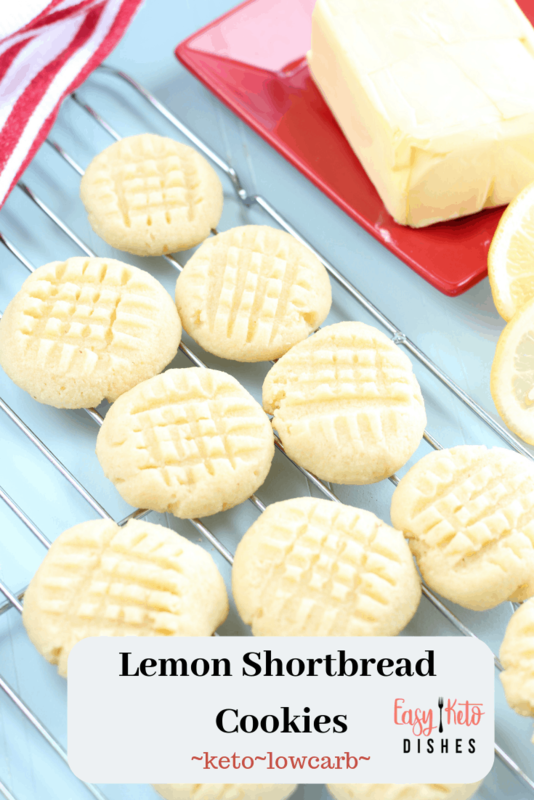 These lemon shortbread cookies are light, buttery, and full of lemony flavor! My grandfather was born in Aberdeen, Scotland. Therefore, I am part Scottish. The Scottish love their foods like haggis, shepherd’s pie and cookies. Loads and loads of shortbread cookies. My mother would make them every year around the holidays. It was one of the many batches of cookies she would quadruple the recipe for. After about an hour, the kids would get bored and my mother would be in the kitchen all by herself, hours and hours later, still baking. We, of course, would enjoy the finished product by the handful. It brings back so many memories for me. Now that I am older, I wanted to make sure that I could continue that tradition of fun baking on a smaller scale. At the same time, I needed to keep the shortbread cookies more keto friendly. This is THE cookie that answers all cookie questions in life. 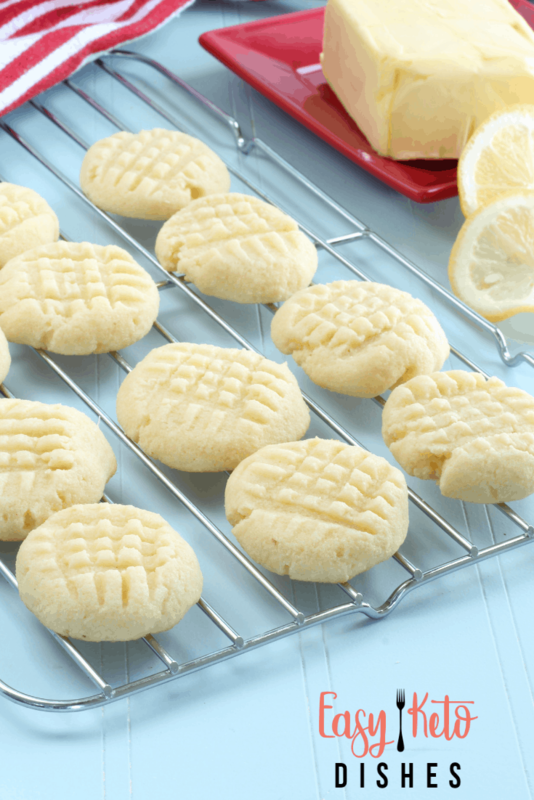 You’ll love how soft, slightly sweet and decadent these shortbread cookies are. How do we keep these shortbread cookies more keto? It’s all in the sugar and flour, baby! Traditional shorbread cookies use powdered sugar and loads of white flour. While they are delicious, it’s not something I can indulge in. The Frenchman can, but that’s beside the point. 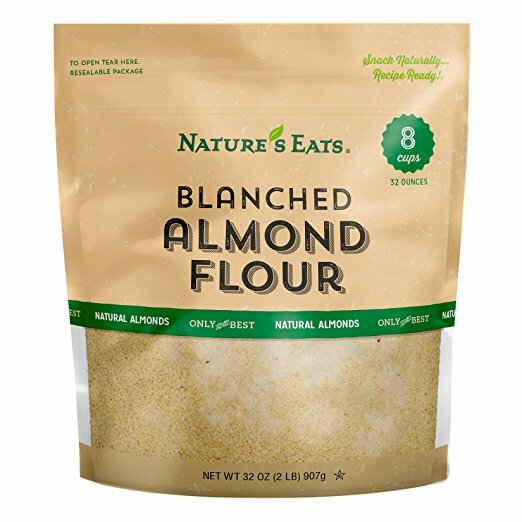 Almond flour has 5 grams of protein, 11 grams of healthy fat, and only 3 net carbs per 1/4 cup serving. It bakes just as well as regular flour and I frequently use it in a 1:1 ratio. 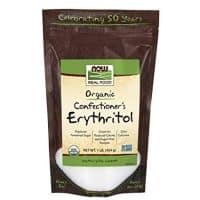 Erythritol is a sugar alcohol that is not digested by the body. 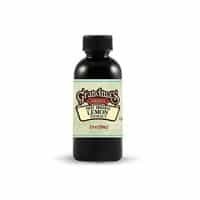 Unlike other -ols like malitol, or xylitol, this particular sugar substitute is actually run through the kidneys, and the chance for gastric upset or other pains (like diarrhea) are very minimal. Also, it’s more pet friendly. Xylitol can kill a dog if they get enough of it, and depending on the size of your animal, even one treat dropped on the floor is enough. We have a 2 second dog, so I make sure that anything that might get dropped wouldn’t harm her. You can read more about it here. So now that you understand why we use the ingredients we use, shall we get on with the cookie baking? Yes, I think so! Line a baking sheet lined with parchment paper or a nonstick baking mat. Using a medium sized mixing bowl, combine all ingredients and stir well. It will start out rather shaggy, but come together as you continue to stir. 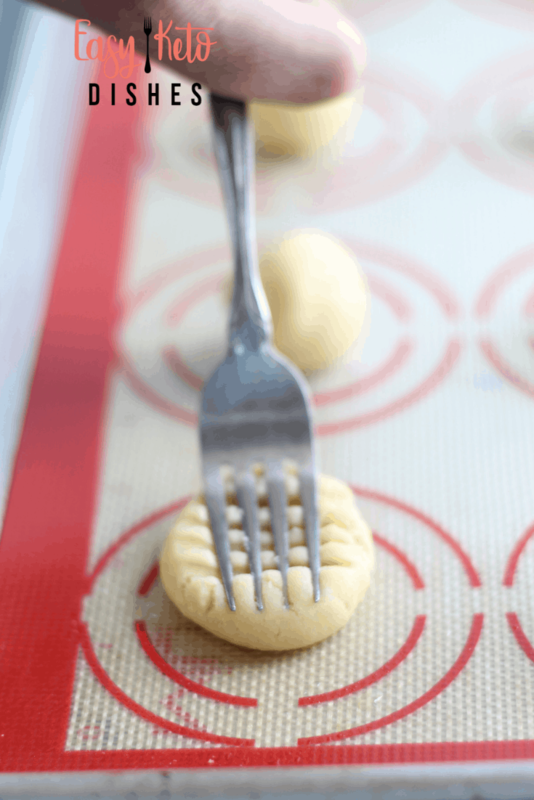 Form 12 1-inch balls, placing them on the baking sheet about 2 inches apart. 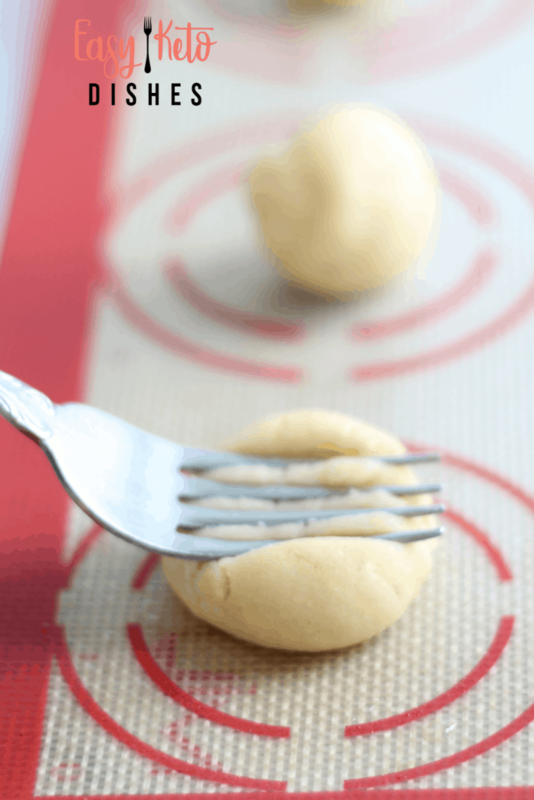 Flatten each dough ball using a fork. Bake at 8-10 minutes until golden around the edges. Cookies will still be soft in the center. Remove from oven and allow to completely cool on the baking sheet. What is your favorite cookie to enjoy? 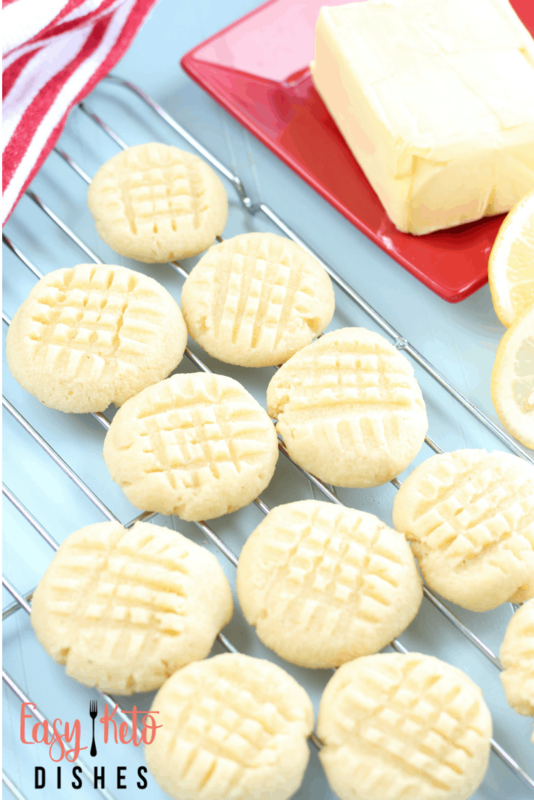 Will you try these lemon shortbread cookies? Be sure to let me know what you think!